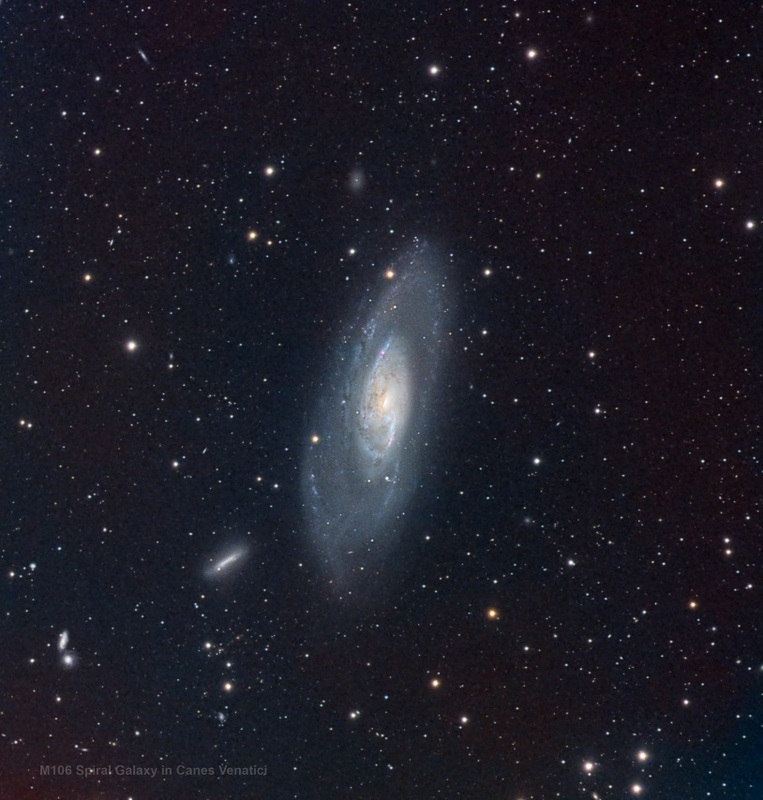 It is the beginning of Galaxy Season here in the northern hemisphere. To prepare I'm contemplating a change to the imaging rig. Right now I'm using a x.8 reducer on my ed102. Because galaxies tend to be on the smaller side during spring I'm thinking about removing it to get a bit more focal length. What are your thoughts? Should I leave the reducer in place for imaging galaxies or take it off? You can, it all comes to personal preference. You'll get a little bit closer, but if you choose to frame your galaxy with a larger FOV, you will now get field curvature the further from the center you go. Also, your system will be a little slower, but you can counter that with longer exposure. There is never enough reach with respect to galaxies, IMHO. So, the 700mm something FL that you will have with the ed102 is still not going to cut it. As you go higher in FL, you obviously have the need for better mount and so on. I think it really will very quickly boil down to what mount you have, what image scale you're going to be imaging at, etc. What camera are you using? 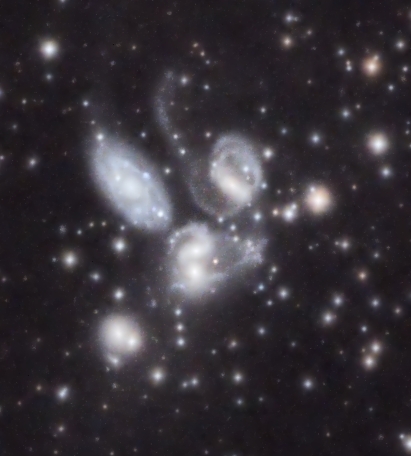 I've done a fair amount of imaging of small galaxies, and many of them are similar in size. You can use Stellarium, or telescopius.com to preview framing, and the option for cropping. Edited by Eric Seavey, 19 March 2019 - 11:46 AM. My friend has the AVX, and I would not use an EdgeHD11 on that mount. Have you considered the Explore Scientific Comet Hunter? Your camera is super sensitive and has a decent sensor size, so you may be able to use a 2x barlow to get about 1500mm focal length and f/10, yet have good correction for wider fields without a barlow. Just take off the reducer. If you are imaging a galaxy pair or the Leo Triplet you may want to use a regular flattener (not a reducer) so the edge of the field stars don't require a crop. If the AVX could handle the 570mm F/L (with reducer) it can handle 714mm. And the increase in object size will be welcome. I would strongly recommend *against* a barlow, it will be far harder to guide an AVX at 1400mm and you will need to multiply the integration time imaging at F/14. I definitely would get at least an Atlas mount for a larger scope. The primary reason for my original question is about optimizing my current setup so I don't have to build a new rig. The question comes down to should I sacrifice the scope sensitivity for FL? I'm leaning towards removing the focal reducer and just increasing my exposure time. Hopefully next year I'll be able to afford an Atlas mount and a Edgehd11 or 14 then this question will become moot. Understood. Then take the focal reducer off, and crop the frame if you have star distortion. People do get decent DSO images with SCT but I would lean towards much faster scopes. F/5 is the ratio I like; fast enough yet without the headaches of sensor tilt issues you sometimes get with fast scopes. I use my SCT only for planets and bright planetary nebulae.